Getting printers to work with Chromebook is a painful process sometimes. And the worst thing is that your printer may simply refuse to work with your Chromebook! Fortunately, there are quite a lot of Chromebook compatible printers for you to choose from. How to check if your printer is Chromebook compatible? 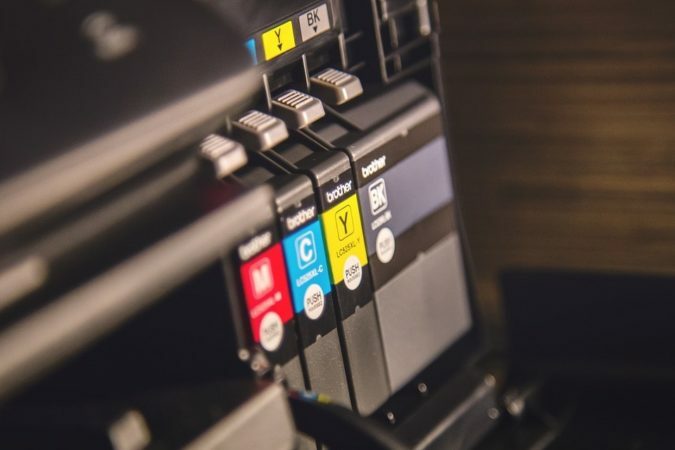 Unfortunately, not all printers are compatible with Chromebook (running Chrome OS) unlike Windows and Mac operating systems that you only need to install a driver and voila you’re ready to print. There isn’t a thing like a Chromebook printer either. Until you get the printer, you probably won’t be able to know if it will work 100%. However, there are certain things that make it likely for your printer to be Chromebook compatible. Namely, a wireless printer that supports Google Cloud Print is very likely to work with a Chromebook. Even an older printer will probably work with a Chromebook, although it’s less probable. But again, if you are getting a modern printer, it’s very likely to work with your Chromebook. If you are ready to spend the money to get a good all-in-one inkjet printer, then maybe Brother MFC-J995DW is the right option for you. There are plenty of benefits in this printer to talk about, but we’ll try to keep it short. First off, being an inkjet printer, MFC-J995DW offers a remarkable quality of color printing, partly thanks to its 6000 x 1200 dpi print resolution. Not only that, but it can print with high quality for a long time. Thanks to the Brother INKvestment system, one cartridge can work for up to 1 year, as claimed by Brother. MFC-J995DW is also an all-in-one printer, as you could have guessed from its name. Aside from printing, it can also scan, copy, and fax, which makes it a good choice for office Chromebook users. 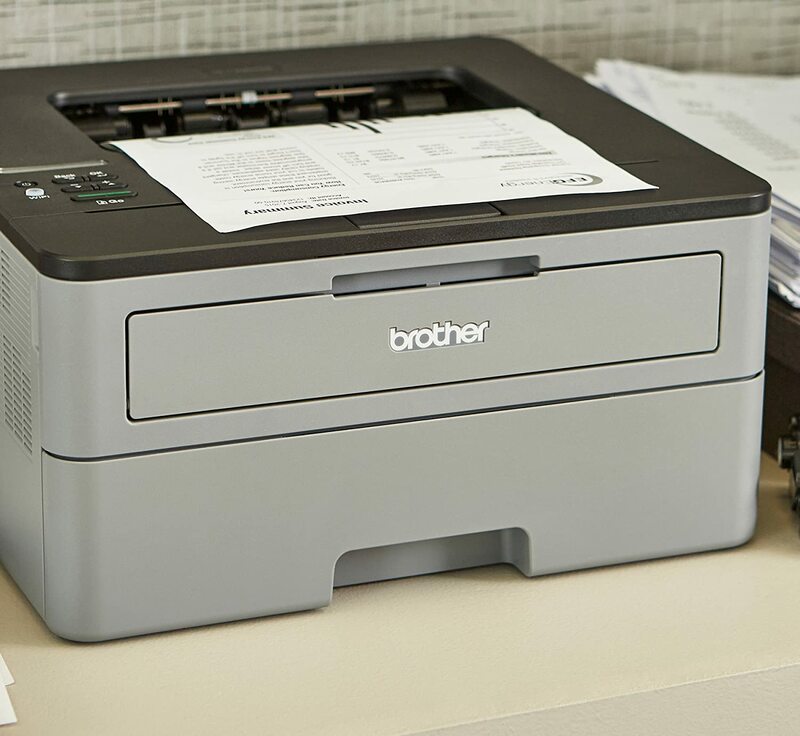 The Brother MFC-J995DW has plenty of features in it, including double-sided printing, auto feeding, wireless printing capability via Wi-Fi Direct, Google Cloud Print, AirPrint, NFC, and other services, as well as the support of memory cards and Ethernet. The inbuilt 2.7-inch touchscreen makes the management of the printer’s functions pretty convenient. As great as this printer is, there are two downsides in it that we’d like to mention. First off, it prints 12 pages per minute. This won’t be slow for everyone out there, but in large-volume applications, this probably won’t be enough. Besides, the MFC-J995DW is rather pricey, so it definitely isn’t a budget pick. Setting up this printer for your Chromebook. Offers great color printing quality. The cartridges last a pretty long time. Has print, scan, copy, and fax functionality. Has auto printing and double-sided printing. Wireless and wired printing compatibility. Has a Micro SD card reader. If you as a Chromebook user want to buy a cheap all-in-one printer for home use, then Canon Pixma TS9120 is a rather good option. Certainly, it isn’t as functional as pricier printers, but it still has a couple of features to boast. The TS9120 printer is an all-in-one inkjet printer, so aside from printing, it can copy and scan documents. In addition, it offers decent print quality for the price with its 4800 x 1200 dpi print resolution. Among the most notable features of the TS9120 printer is its disc printing capability. If you print images on printable discs from time to time, this feature is going to come in handy for you. 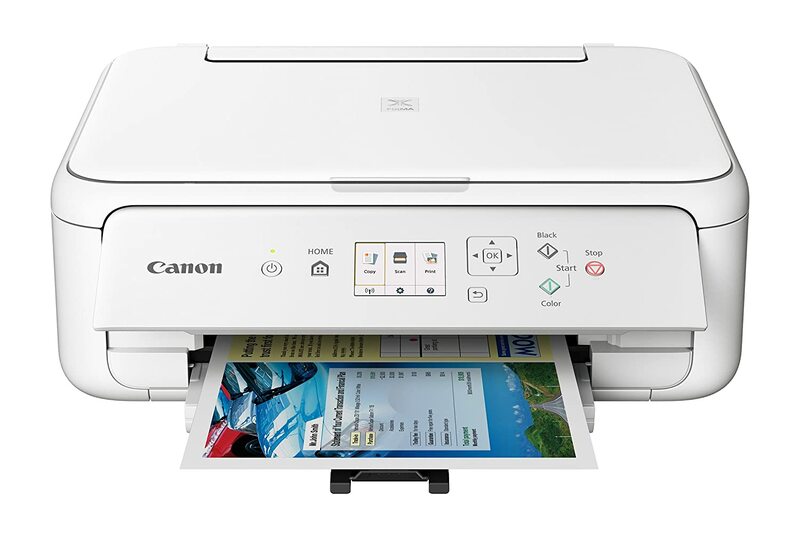 As a wireless printer, TS9120 offers Wi-Fi, Bluetooth, and Ethernet connectivity for printing, but it doesn’t have NFC. In addition, if you happen to be a user of AirPrint, then you’ll be able to enjoy its benefits with this printer. You may also print via Google Cloud Print. And yeah, this printer also has a micro SD slot, which may come in handy if you often take photos with a camera and store the shots on a memory card. One downside of this printer is its slow printing. 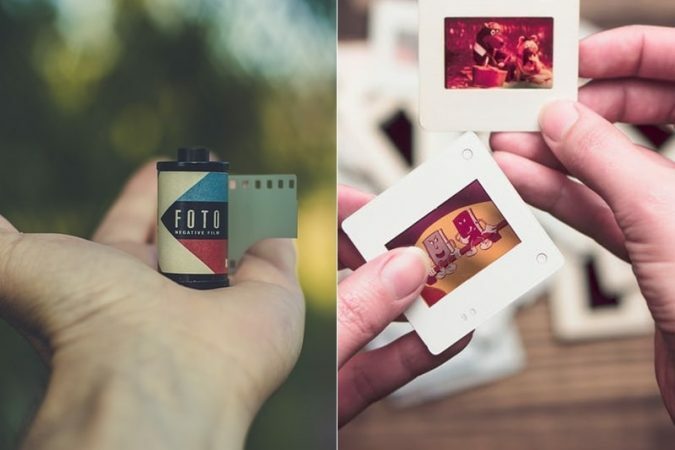 It prints a 4 x 6-inch photo in 17 seconds, as well as has a color print speed of 10 inches per minute and black & white printing speed of 15 inches per minute. Not too quick, as you can see. Follow these steps to connect with your Chromebook. Print, copy, and scan capability. Can be used for disc printing. Wi-Fi, Google Cloud Print, AirPrint, Bluetooth, and Ethernet connectivity. Has a micro SD card slot. TS5120 goes even simpler and cheaper than TS9120. If you are really tight on your budget but need an all-in-one printer for your Chromebook, this one may be the best option for you. Even though this printer is cheaper than TS9120, it offers a similar printing quality and resolution. In addition, the wireless printing capabilities here are also the same. Namely, you can print documents via Bluetooth, Wi-Fi, AirPrint, and Google Cloud Print. The all-in-one functionality is also more or less the same, so you could still scan and copy documents with the TS5120 printer. But there are certain features that this printer lacks compared to the Canon TS9120 printer. Namely, the TS5120 doesn’t have a card reader, an Ethernet port, as well as doesn’t do disc printing. The latter is a pretty specific feature though, so it’s not that big of a downside. The TS5120 is quite a bit slower than the slightly pricier TS9120 as well. It prints a 4 x 6-inch photo in 47 seconds, and has a color printing speed of 6.8 ppm and black printing speed of 13 ppm. Thus, this printer definitely isn’t for those who have plenty of stuff to print. Follow these steps to connect your Chromebook with this printer. Can do auto 2-side prints. Has copy, scan, and print functionality. Supports Wi-Fi, Bluetooth, and AirPrint printing. If you happen to be looking for a not too expensive monochrome laser printer for high-volume office printing, then Brother HL-L2350DW is going to be a nice option. This printer doesn’t have color printing, scanning, or copying functionality, but what it can do is print fast. It’s not the fastest printer out there, and it also sacrifices some printing quality for the speed, but its print rate of 32 ppm is still very decent. And the recommended monthly volume of up to 2,000 pages and the maximum monthly duty cycle of 15,000 pages should be more than enough for most people. And yeah, the paper input capacity of 250 sheets, as well as the 2-side printing really help with doing quick printing. HL-L2350DW may not be the most functional printer on our list, but it still supports wireless printing via Wi-Fi Direct, AirPrint, and Google Cloud Print. It’s still a convenient printer overall. We wish that this printer had an auto feeding feature though. It would really push its printing speed much further. Unfortunately, that’s a thing often reserved for pricier printers. Supports wireless printing via Wi-Fi, AirPrint, and Google Cloud Print. Would be nice if the printer had auto feeding. 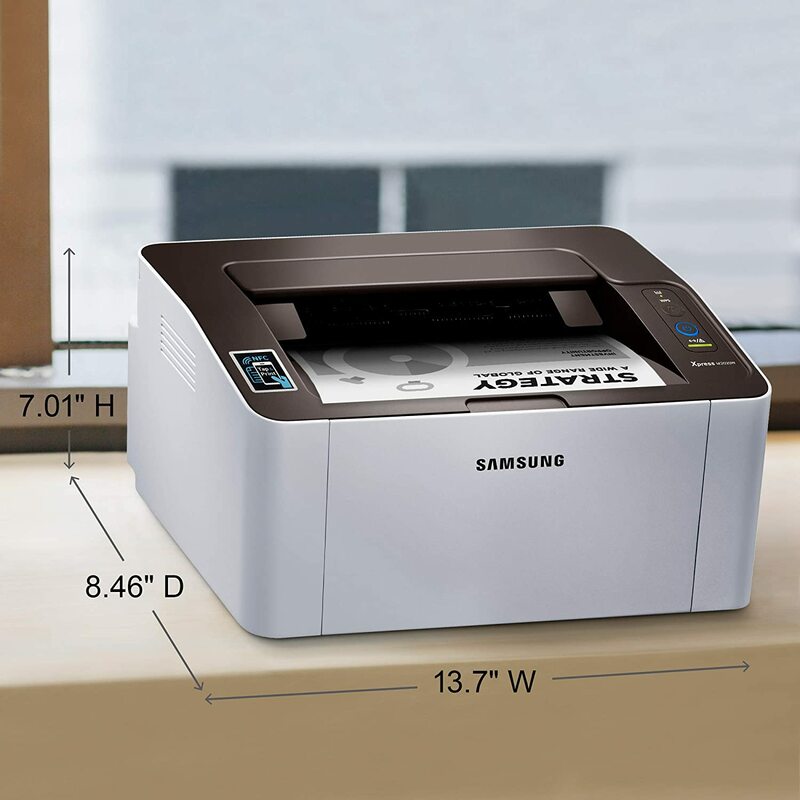 If you don’t need the speed of the Brother HL-2350DW for Chromebook printing, then we think that the Samsung M2020W printer is going to be a good option for you. This is a bit simpler printer, but there are some features that are better in it. This printer isn’t as heavy-duty as Brother’s quick-printing printer. It prints with a speed of 21 ppm, as well as has a max monthly duty cycle of 10,000 sheets. The M2020W also accepts less paper in one go – 150 sheets to be precise. 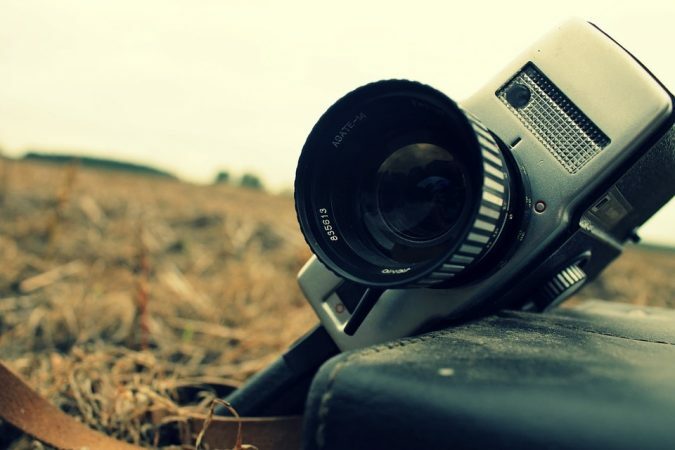 Thus, it is a suitable choice who need quick printing but whose tasks aren’t too high-volume. On the other hand, the M2020W printer has an auto feeder system, which is going to make it a bit more convenient. However, it doesn’t have two-sided printing, which may be a downside for some people. Interestingly, the M2020W printer is better than the Brother printer in terms of connectivity. The Brother HL-2350DW printer was good already, but the M2020W printer has NFC support on top of everything the Brother model had. Wireless printing via NFC, Wi-Fi Direct, AirPrint, and Google Cloud Print. Back onto inkjet printers. 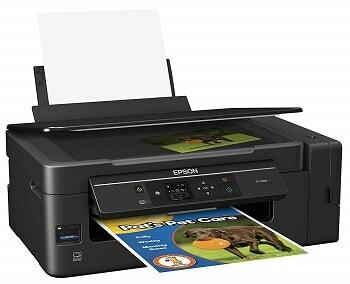 This time, it is Epson Expressions ET-2650, which is similar to the Brother MFC-J995DW XL printer we reviewed in the very beginning. There are some similarities between these two printers, as well as a couple of notable differences. In terms of printing quality, the two printers are pretty close to each other. The max print resolution in ET-2650 is 5760 x 1440 dpi, while the Brother printer had 6000 x 1200 dpi. So they are quite comparable. The ET-2650 is also an all-in-one printer, but it doesn’t have the fax functionality that MFC-J995DW XL had. If you don’t use fax, this won’t be a problem for you. The ink tanks are also notable in this printer. As Epson claims, there is enough ink in the box for 4,000 pages, which is a very good number. Epson also says that with a monthly print volume of 150 pages, the ink could last for 2 years. And even when the time to refill the ink comes, it’s rather easy to do. The cartridges can be easily accessed from the side of the printer with no disassembly. 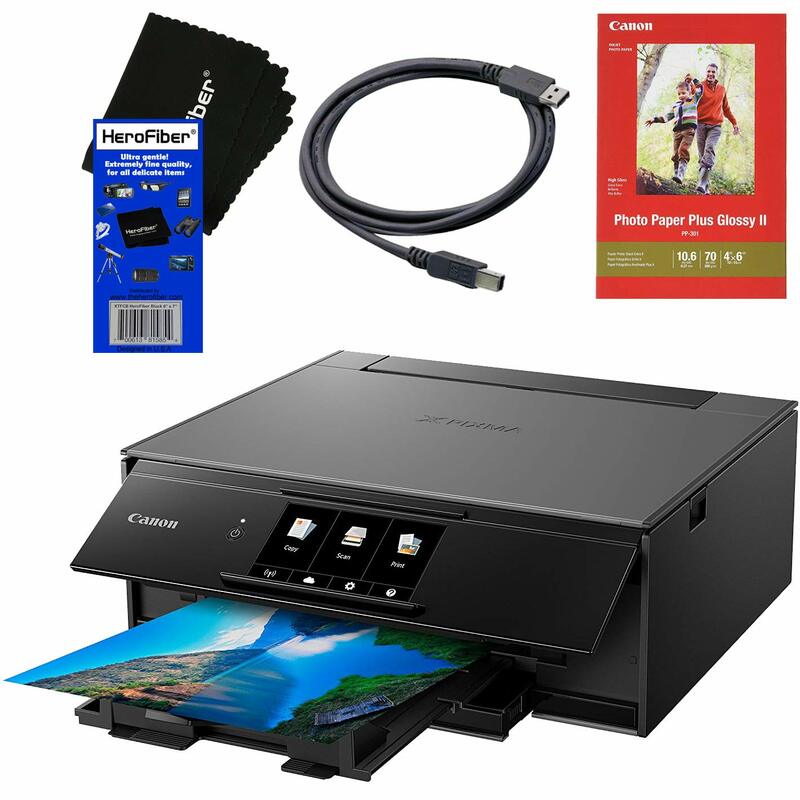 Needless to say, a printer of such price has wireless and USB connectivity options, as well as support of AirPrint. 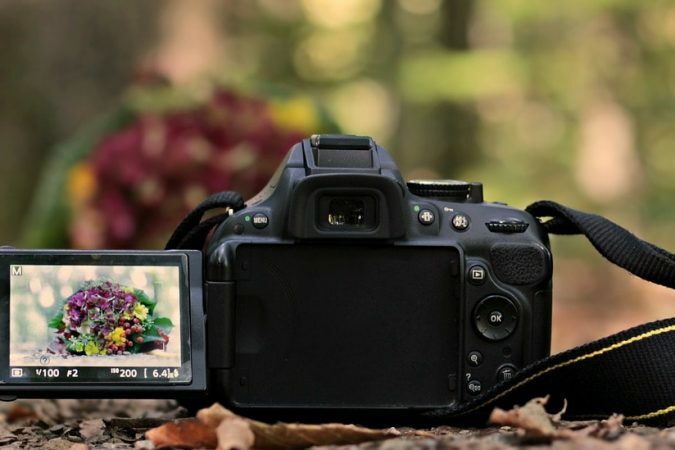 And you could also make use of the inbuilt card reader to print your photos. Things that we’d also like to see in this printer are auto feeding and 2-sided printing. These features are pretty common even in cheaper printers, and it’s quite surprising to see that they aren’t there in this printer. The same goes for Ethernet printing: this printer simply has no Ethernet ports for wired printing. How to print from Chromebook? Check out these steps. Can print, scan, and copy. The ink lasts for quite some time. Supports wireless printing, as well as memory card printing. No 2-sided printing or auto feeding. We’d expect to see Ethernet printing for the price. Well, here comes the most functional and expensive printer on our list of best Chromebook compatible printers. 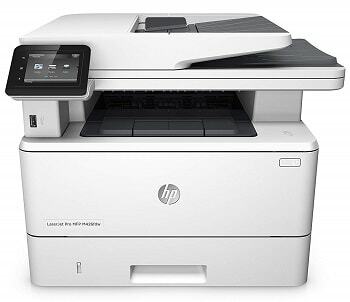 If you are ready to spend the money on a printer that does its job quickly, then the HP LaserJet Pro M426fdw monochrome laser printer may be the best option for you. This thing prints faster than any other printer on the list – up to 40 pages per minute, to be precise. In addition, it is made heavy-duty for high-volume tasks – namely, its recommended monthly print volume is 750-4,000 sheets, while the monthly duty cycle is 80,000 sheets. And to make the printing process faster, this printer has a 50-sheet auto feeder, 2-side printing, as well as a 350-sheet input tray. M426fdw is an all-in-one printer, so it can print, scan, copy, and even fax. 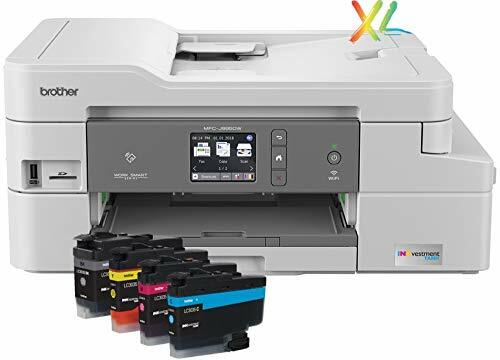 If you do need all of the four, then the M426fdw printer should be able to provide you with what you need for a good price and with not too harsh storage requirements. In terms of connectivity, the M426fdw printer is great as well. It supports wireless printing via NFC, Wi-Fi, and services like AirPrint and Google Cloud Print. In addition, it can do wired printing via Ethernet. All in all, if you have the money, this is probably going the best printer to buy out there for a Chromebook. Also, these steps will help you connect to a Chromebook. Can print, scan, copy, and fax. Has auto 2-sided printing and document feeding. Supports wired and wireless printing. Does not do color printing. 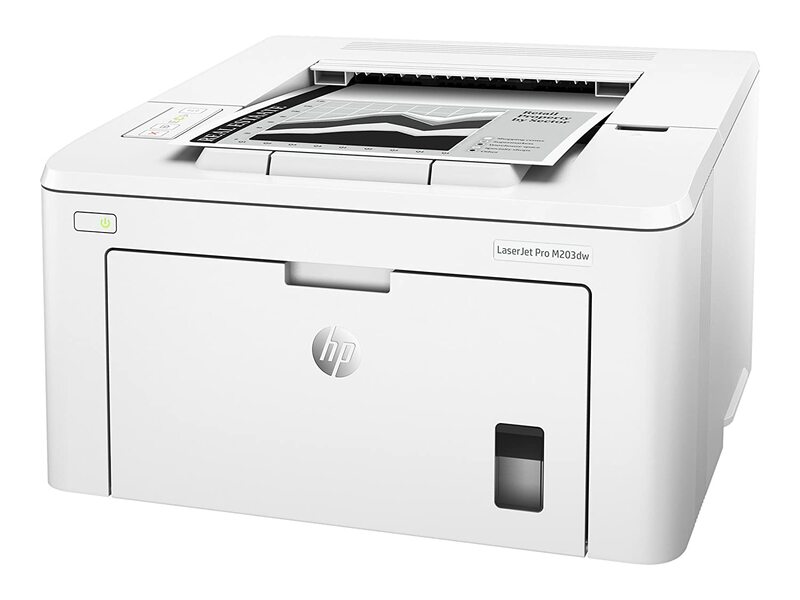 HP LaserJet Pro M203dw is a more down-to-earth printer than its higher-end brother. This printer still is a great office printer, but it is much less functional than the pricey M426fdw. The M203dw printer has a printing speed of up to 30 ppm, which places it on the third place on our list after M426fdw and Brother HL-L2350DW. This printer’s duty cycle is quite nice as well – 30,000 pages per month. And its recommended monthly sheet volume is a decent 250-2500. M203dw doesn’t have the auto feeding capacity of its elder brother, but it still has double-side printing. And the 250-sheet input tray capacity is very decent as well. In terms of connectivity, the M203dw printer can do both wired and wireless printing. Needless to say, wired printing is done via Ethernet, while wireless printing is done via Wi-Fi and services like AirPrint or Google Cloud Print. And yeah, what we also didn’t mention is that this printer isn’t an all-in-one printer like M426fdw. It’s just a monochrome laser printer, but quite a good one. And it costs not so much money. Can do auto double-sided printing. Supports wireless and wired printing. Doesn’t have an auto feeder. How to print from Chromebooks? Printing from a Chromebook is very often not as straightforward as from a Windows or Mac PC, but it isn’t too difficult to do either. Today, we want to talk about two ways of printing via a Chromebook. Most printers that have wired or wireless connection capability will work with Chromebook. 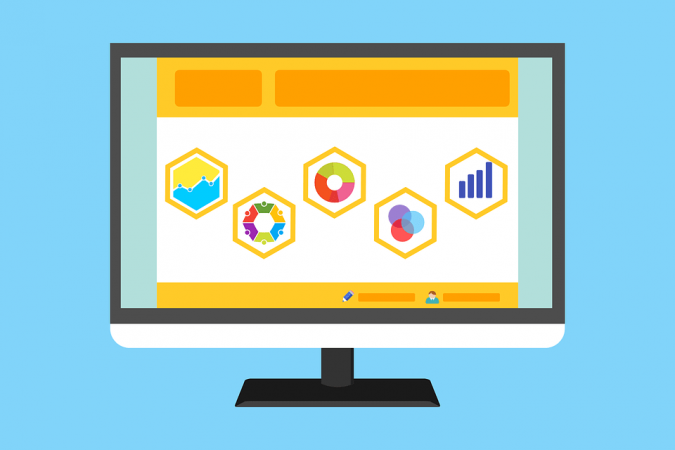 If you have a modern printer with wireless connectivity, then you are likely to get it to work with your Chromebook. Turn your printer on and connect it to a network. Follow the manufacturer’s instructions if necessary. If your printer doesn’t have wireless connection, just connect it to the Chromebook with a USB cable. This will also work if you don’t have internet access at the moment. Turn on your Chromebook, sign in to your account, and connect the Chromebook to the same network as the printer. Choose your printer from the list. If you don’t see your printer in the list, you can add it manually. We’ll describe how below. If you see the “Select a printer manufacturer and model” prompt, choose your printer type. Press Ctrl + p on the page you wish to print. Select your printer under Print Destinations or Recent destinations. If you don’t see your printer in the Printers window, follow these steps to add the printer manually. In the Add Printer menu, click Add Manually. Select ipp/print queue under the Queue field. In the appearing box, choose your printer model and manufacturer. If you still don’t see your printer on the list, check the info on its emulation or printer language. 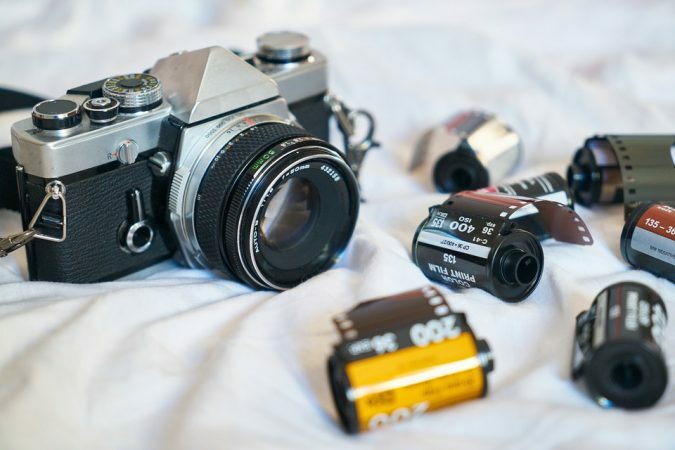 Then, choose the Generic option that looks similar to your printer. If you have a printer driver, select Browse to upload it. Keep in mind that the driver file must be 250 KB or smaller. In case your printer won’t print after setup, check if its information is correct under Settings > Advanced > Printers > More > Edit. You may also try to set up your printer again. Another good option for Chromebook printing is using Google Cloud Print. The benefit of Google Cloud Print is that it allows you to print remotely without setting the printer up for all your computers separately. For this option, you will need a printer that has Wi-Fi connectivity, as well as a computer with the Chrome browser installed. Turn on your printer and connect it to a Wi-Fi network. Turn on your computer and connect it to the same network as your printer. Check whether your printer is cloud-ready or not. If your printer is not listed, it is not cloud-ready, but you can still connect it to Cloud Print. And, if it has “v2” next to its name, its version 2.0-compatible. If it’s on the list but has no “v2” next to it, it’s version 1.0-compatible. Find the printing section on your computer and add your printer. Refer to the Mac or Windows help sites if you don’t know how. Keep in mind that you can’t use a Chromebook for this setup. Click Add Printers under Classic Printers. Under Printers to register, select the printer you want to share and click Add printer. Click Manage your printers to check if your printer was added. Find your printer under New devices. On the screen of your printer, follow the steps to finish registering your printer. Click the link to go to the manufacturer’s help website. Follow the manufacturer’s instructions to set up your printer for use with a Chromebook. After completing setup, print the desired page as described in the standard printer setup section above. So what, are there Chromebook compatible printers out there? Certainly, there are plenty of such printers, 8 of which we showcased to you above. A caveat to remember is that printers more or less often have connectivity issues with Chromebooks. It’s difficult to say why, but it’s probably because printer manufacturers aren’t too much interested in Chromebooks just yet. For your guide, check out these lists of models compatible with your Chromebook (for HP, Brother). Fortunately, Chromebooks have become more printer-friendly over the years, and, as we’ve mentioned above, a modern printer with wireless connectivity is likely to work with them with no issues.